The International Woodworking Fair has been named one of the Tradeshow Executive’s Magazine “Fastest 50” for exhibit space in 2018. IWF is also honored for the next 50 in attendance and a Gold 100 tradeshow. 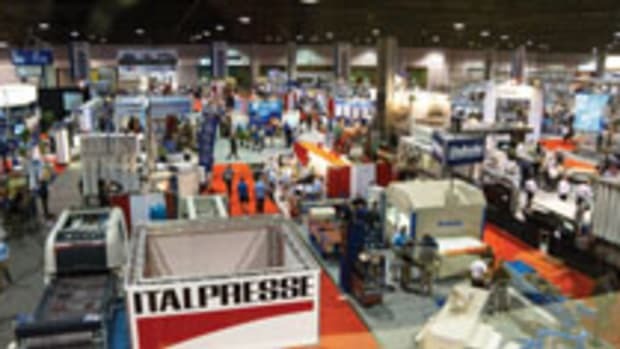 “We are honored to be acknowledged as one of the Fastest 50 shows in the tradeshow industry. Tradeshow Executive Magazine has now recognized IWF for Fastest 50 Shows 2012, 2014, 2016 and 2018,” Brian Donahue, chairman of IWF 2020, said in a statement. IWF will take place Aug. 25-28, 2020.